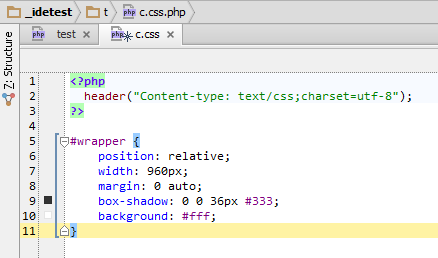 I need to code my CSS inside PHP-files (e.g. pages.css.php). I can successfully turn on the Template Data Languages -> CSS for these files so they get the proper syntax coloring. However, indentation does not work. 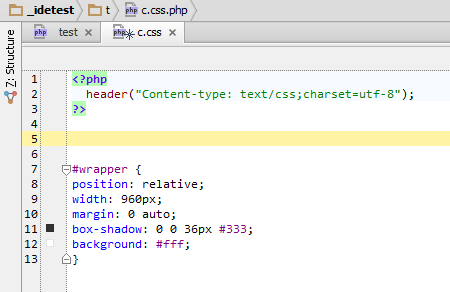 If I try to reformat the code, it formats PHP-code fine but not CSS. Is there a possibility to turn on proper indentation for CSS (or other languages in Template Data Languages). I Have a PHPStrom 6.0.3 personal licence. Your example seems to work OK for me (checked in PhpStorm v7 EAP build 131.322).